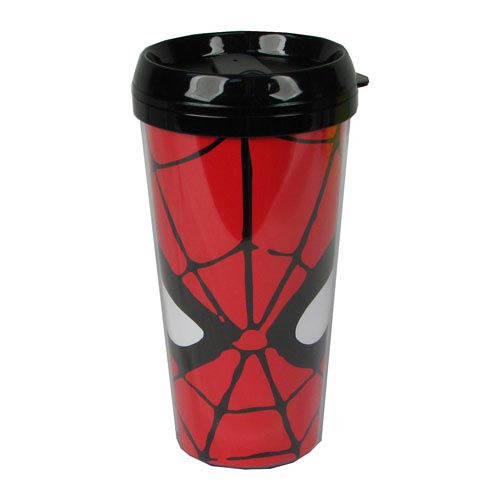 Show your love for Marvel comics' web-shooting wall crawler as you keep your drink hot! This Spider-Man Face 16 oz. Plastic Travel Mug is double-walled and made of sturdy plastic - complete with lid to help insulate your drinks and keep them from spilling while on the go. Plus, it's got an incredible design of Spider-Man's crime-fighting face!